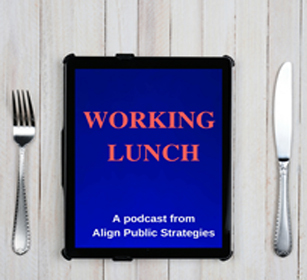 Former McDonald’s CEO pens a column reiterating points made by Align Public Strategies’ partners on a recent episode of the Working Lunch podcast (just sayin’). According to a recent study from the National Restaurant Association, the number of restaurant employees between the ages of 16 and 19 years old is back to pre-2007 levels. Companies should reconsider their campus hiring strategy if they want to increase the representation of women and minorities in leadership and close any pay gaps, experts say. Walmart Inc. is expanding its use of robots in stores to help monitor inventory, clean floors and unload trucks, part of the retail giant’s efforts to control labor costs as it spends more to raise wages and offer new services like online grocery delivery.